Check out the latest Women's Black Friday 2015 Coupons on My Subscription Addiction! Adore Me $10 Off Holiday Sale + Free Express Shipping! Adore Me Cyber Monday Sale – $40 Off or 50% off First Order! 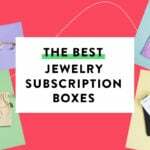 Yogi Surprise Jewelry Box Cyber Monday Deal – 40% Off! Reminder: Golden Tote Cyber Monday Tote Launches at Noon ET! Golden Tote Cyber Monday Sale Details + Full Spoilers! Causebox Black Friday Deal – 10% Off All Subscriptions!